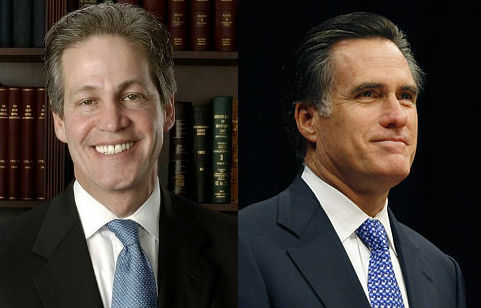 Mitt Romney adviser Norm Coleman, a former senator from Minnesota, predicted the GOP won't repeal the Democrats' healthcare reform law even if a Republican candidate defeats President Obama this November. "You will not repeal the act in its entirety, but you will see major changes, particularly if there is a Republican president," Coleman told BioCentury This Week television in an interview that aired on Sunday. "You can't whole-cloth throw it out. But you can substantially change what's been done." Coleman's remarks are remarkable because every Republican candidate — including Romney — has vowed to make repealing the law a priority. Coleman is also the chairman of the American Action Network, which has urged the courts to strike down the law's individual mandate and its Medicaid expansion. Romney's campaign quickly distanced itself from Coleman's comments. "With all due respect to Sen. Coleman, he's wrong," campaign spokeswoman Andrea Saul said via e-mail. "Gov. Romney can and will repeal Obamacare and is committed to doing so." Coleman's "advice will be critical as I lay out my vision for improving our economy at home and strengthening our partnerships around the world," Romney said in a statement in September when he announced that the former senator was becoming an adviser. Coleman's remarks underscore the fact that despite their rhetoric, Republicans might find it impossible to reverse a number of provisions of the law that have already gone into effect. These include rebates to help seniors buy prescription drugs, new health insurance regulations and the creation of an approval pathway for complex biosimilar medicines. "If there's a Republican president, what you'll see is states getting waivers … granted and then starting again, making sure that we lower costs, which this act hasn't done, while we provide better access," Coleman said. Still, he said, the law "may collapse" on its own if the Supreme Court strikes down the requirement that everyone have insurance. "I don't think the act works financially … if you don't have the individual mandate, because your costs are going to go so far through the roof." Coleman was elected to the Senate in 2002 but lost his 2008 reelection bid to Democrat Al Franken after a protracted recount battle.